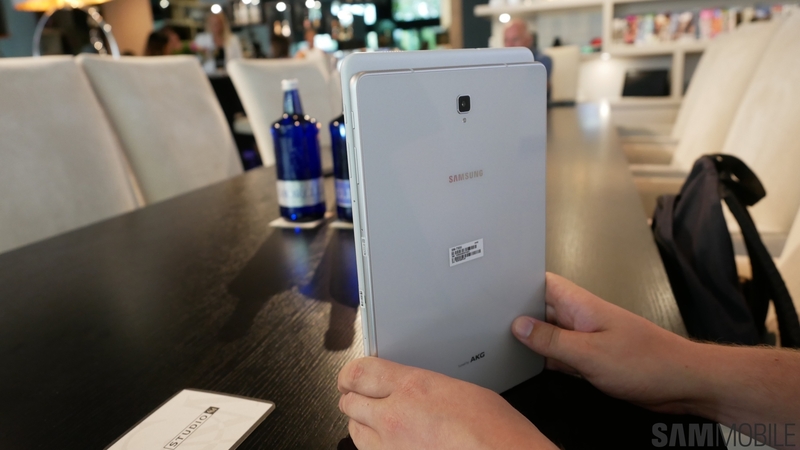 Samsung has launched two new tablets today. They offer something for everyone as the Galaxy Tab S4 is more for those who want to get work done on their tablets while the Galaxy Tab A 10.5 is better suited to watching TV shows and movies. 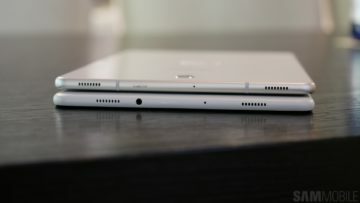 Both tablets look quite similar, though, then again there’s only so much that you can change in a tablet’s design. 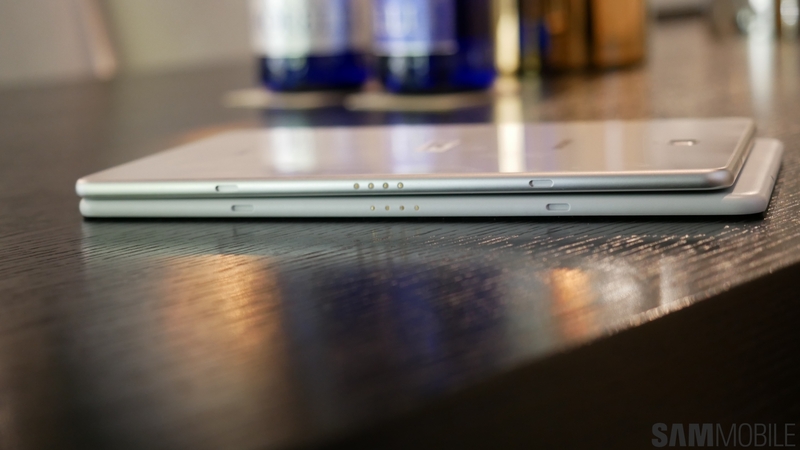 The two tablets have 16:10 aspect ratio displays as well with relatively slim bezels to maximize screen real estate. 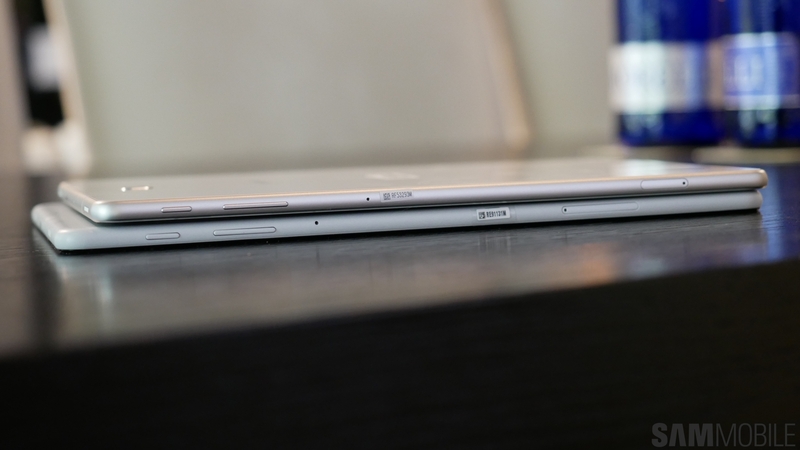 There isn’t a physical home button on both tablets due to the 16:10 aspect ratio. 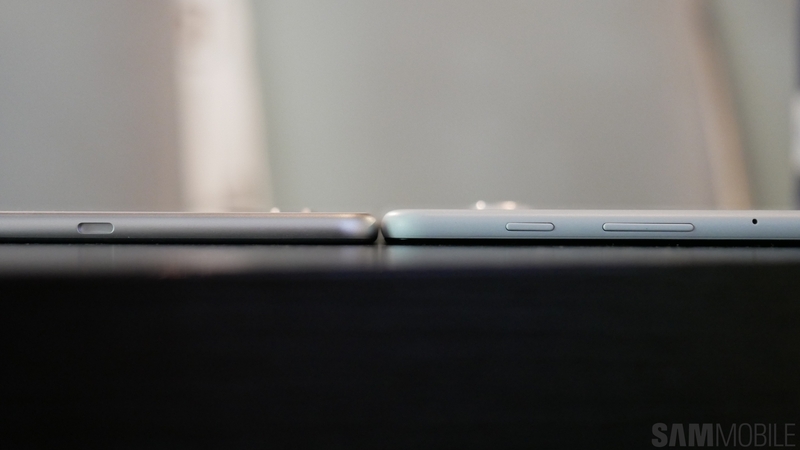 This means that there’s no fingerprint sensor at the front as well. You would expect to find it at the back but you won’t because both the Galaxy Tab A 10.5 and Galaxy Tab S4 actually don’t have a fingerprint sensor. 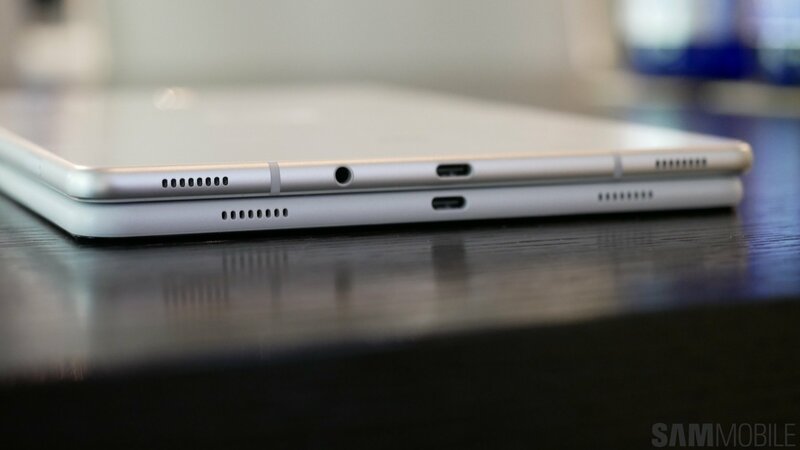 Another minor change you’ll notice is that the 3.5mm headphone jack is positioned at the top of the Galaxy Tab A 10.5 as opposed to at the bottom on the Galaxy Tab S4. That may not be of a lot of interest but the important thing here is that both tablets do have a standard headphone jack. 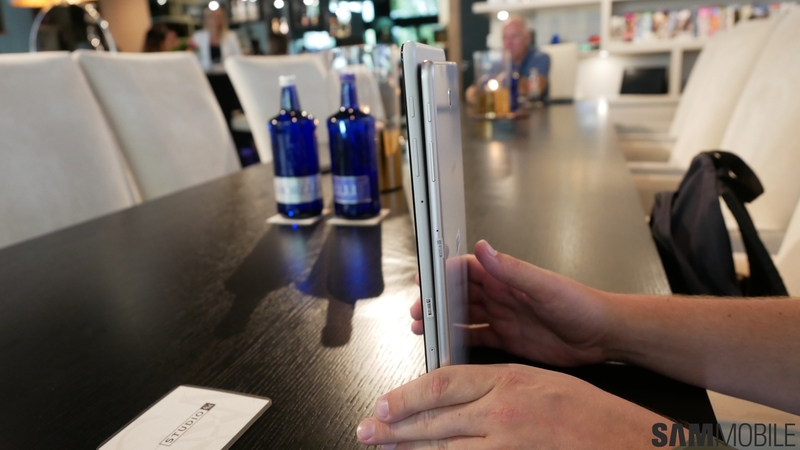 Other design features that are noticeable on both tablets include the metal frame which is present on the Galaxy Tab S4 but not on the Galaxy Tab A 10.5 as it’s made out of plastic. There’s also a minor size difference between the two tablets as well courtesy of the Galaxy Tab S4’s higher screen to body ratio which lets it pack a 10.5-inch display in a smaller frame. 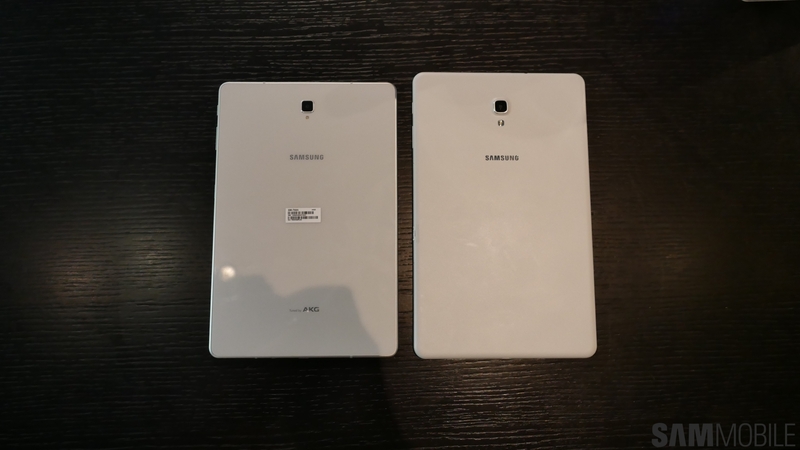 The pictures posted below show off the Galaxy Tab A 10.5 vs Galaxy Tab S4 in more detail. Despite their similarities, both tablets will cater to different segments of the market as a lot is different under the hood. There’s also a considerable difference in their prices. Do let us know about thoughts about both tablets in the comments. To see how the two compare with specs, go here. Galaxy Tab 10 have iris scanner ?